QUICK JUMP: Contestants Pageant Information How to compete in Ms. Black Fit and Fine Beauty Pageant 2019? 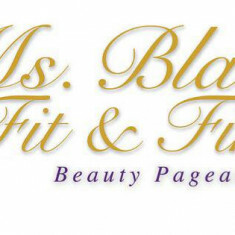 The Ms. Black Fit & Fine pageant was designed to promote the long-term health benefits of following a healthy lifestyle. We want to provide a platform that showcases African American women ages 50 and over who have embraced this concept, and are able to serve as role models for other women. How to compete in Ms. Black Fit and Fine Beauty Pageant?